For a long time geodesists in many fields of science (biologists, geologists, archaeologists, engineers) relied on the same traditional methods of data collection in the field, such as documenting data in journals, photographing with a digital camera, and carrying a handheld GPS unit for identifying location coordinates. However, recent advances in mobile technology in the form of tablets with mobile applications offer geodesists new opportunities in the field. This mobile technology can significantly increase efficiency and reduce costs of field work and post-processing costs. – Nightly data uploads to the cloud database was 30 times faster than manual uploads to a shared secure FTP website, including the need to combine data stored on the handheld GPS, field logs and digital camera into a single GIS database for report creation. Also, the survey showed that, thanks to the mobile technology, a great amount of time was saved in post-processing and documentation of the results for clients, almost 20% faster than with traditional methods. Snappii, an ultra-fast codeless mobile business app development platform, offers a number of mobile business apps for the work in the field. Our customers and our in house app builders use our unique platform to build sophisticated business apps for different industries. 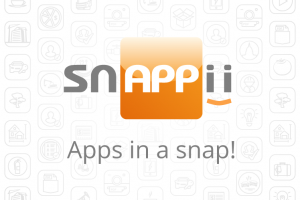 Please type in “Snappii” in Google or Apple stores to see our apps or visit our page for more information. The potential of this mobile technology will only continue to expand in the future providing more opportunities for users to save time and money. This entry was posted in Blog and tagged Construction, General Business, field service, heavy equipment, inspection by blogger. Bookmark the permalink.